Winter is there at my doorstep, knocking on my doors, announcing its arrival. 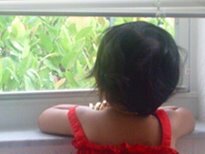 In the twirling of the fall leaves, the chill of the air, the Diwali lights blinking on the front porch, that’s what I hear. This is the time that reminds me of Winter in India, winter in the plains of Bengal not very harsh but winter that let’s you soak up the sun during the day, cuddle up in the warmth of a lep (blanket) at night. I grew up mostly away from Kolkata (where nowadays what we have during December-January is an apology to winter), in small townships where winter was much better and brighter. Winter also meant the local hat (marketplace) looked much more colorful with the bright red tomatoes, the fresh green dhone-pata(coriander leaves), the orange carrots, the deep red of beetroots. These were vegetables available only during winter months and my Ma made the most use of them. 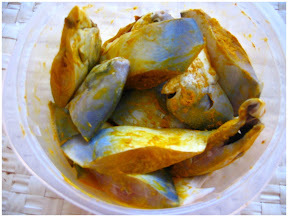 Our daily fish curry had a different flavor during these months. Today with the winter sun streaming down my kitchen windows, all those memories rushed back, and I decided to make this fish curry which was a favorite at our home, during these months. 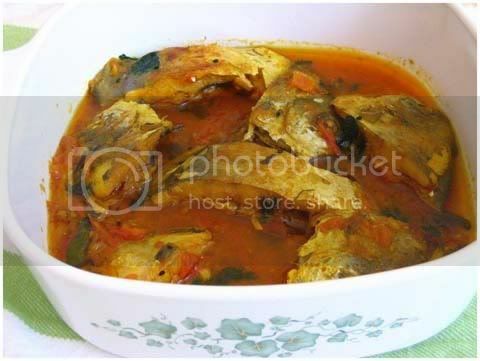 This is a light fish curry with tomatoes and coriander leaves and almost no other spice. 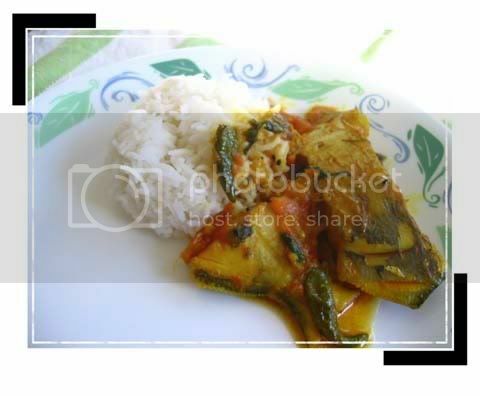 This is a dish that is usually cooked for a quiet lunch at home with the family, and with fish like Rui (Rohu) and Chara Pona (baby Rohu fish). I made this with fresh Pomfret from my local Chinese store and it was delicious. Heat oil in a Kadai/Wok till you see smoke just coming out, indicating it's hot enough. Temper with Kalonji/ Kalo Jeera and slit green chillies. When the gravy comes to a boil add the fish pieces. wow... in winter my mom would make machers jhol with cauliflower and potatoes... it was yummy. your kalakand also looks delicious. tomar soya sprout er mochar ghonto ekdin try kortei hobe. hehehe,mocha front e kichutei amar sasuri ke beat out korte parchilam na. your recipe looks like a saviour. thanks for sharing. Sandeepa,perfect way to warm up a winter noon with Macher Jhol ..
and with " Mishti Dui" its a winner ,Yummy !! Yeah, that's another fish curry I love. You can also do that for dinner whereas this is very light. Diwali ar Kali Pujo kemon katlo ? Tomra PA te kon dik e thako ? This fish curry looks sooo good. Everytime I try to cook fish curry, it always goes wrong (always taste bad compared to what Mom would have cooked). I am hoping to cook this now with little more confidence. Do you have any suggestions of fish from the American grocery shops that will work (like catfish, sole ) ? I was sooo excited with your method of Kalakand, that I ran to the closest grocery shops to get the ingredients and made it. It was perrrrfect. Thanks Sandeepa! You sure are a enthu cook :) I have never tried this with cat fish are sole. Give it a try and let me know. You can also try Red Snapper or Striped Bass(not Sea Bass). Basically since the masala is minimal the fish should be fresh and not have a fishy:)smell Remember to put in a lot of fresh corriander leaves. Wow! I like pomfrets and had posted few recipes with it. I am drooling looking at the pictures Sandeepa. Very well done. Btw, here is my invitation to you to participate at VCC Q3 2006; the deadline has been extended to Oct 31. Cheers! 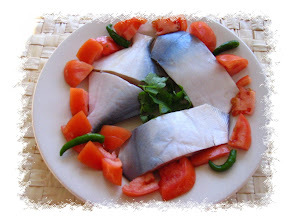 You dont know how happy it made me to see a fish recipe on your blog! Ususally I see only veg recipes in Indian blogs and I miss out the non-veg cooking of other cuisines. Great! 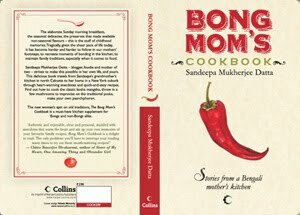 Now I can learn some non-veg Bangla cooking. This looks wonderful. Thanks for the link. I will lookmaround for pomfret. 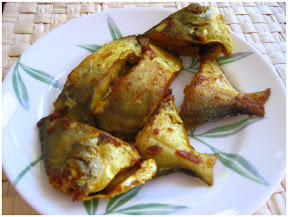 The best and closest substitute to Rohu / Rui (however you spell that) is Trout. White Trout has always been my saviour whenever I start craving for Rohu fish curry. I have tried shukto,kalakand,kumro chingri n many more recipe of yours and honestly each n every dish was amazingly tasty(cud not find other word). The secret ingredient is water ;-) Read the recipe, it says water. Oh Thanks a lot for the reply! and certainly water would be there :-), that much I can figure on my own. but without some help from vegis like tomato/onion/even flour, the gravy would be watery, right? In the image, beneath the level of yellowish oil, I can see a rich gravy, and somehow I thought that was not possible with only 1 tomato. Maybe i need to actually try it out.